The scenery in the Simiens is some of the most spectacular in the world. When you arrive in the Simiens from the south you might wonder what the excitement is all about. 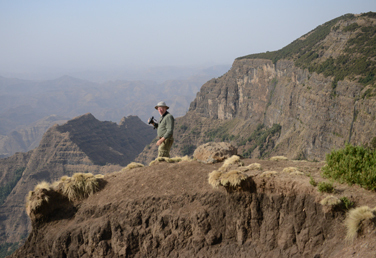 But then you get to Simien Lodge that sits on the edge of the escarpment and Wow! The world just falls away in front of you. It is not just about the mountains, the wildlife and the scenery, although those were the reasons why the park was given the UNESCO World Heritage label. There is plenty of history too. 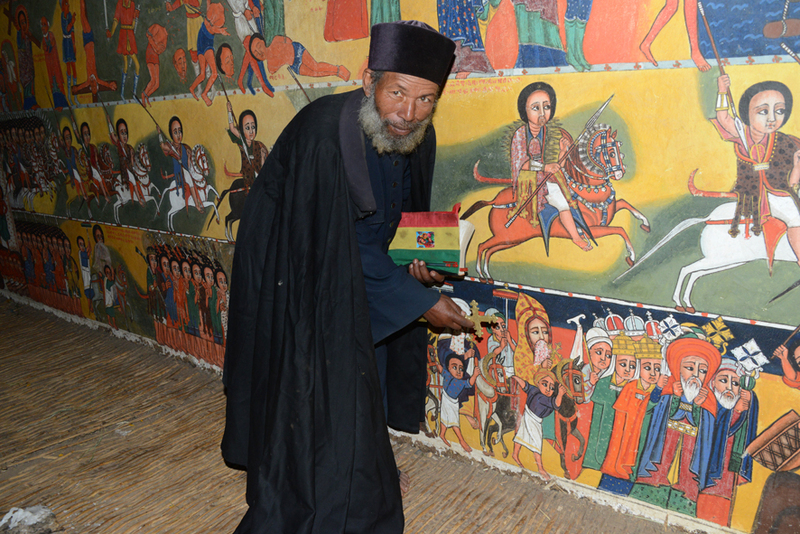 Check out the church at Deresge Maryam or the monastery of Saddique Amba that clings to the cliff side. The wildlife in the Simiens is unique. Three species are not found anywhere else in the world. 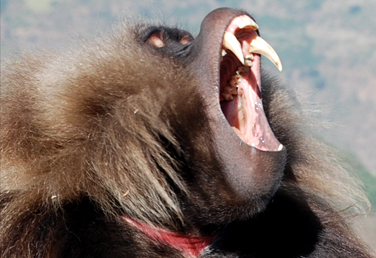 The favorite is of course the Gelada which can be gound in groups of up to 500. It takes timle to see a Simien wolf but with a little patience they can be found. The Walia Ibex is also unique to this area. Leopard, klipspringer, bushbuck, jackal and hyena are also found. Design & Developed by NCode Technologies, Inc.